People can be exposed to mercury in the work place or in the home. 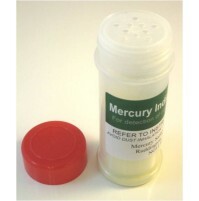 These products allow mercury exposure to be easily measured using a urine test or atmospheric sampling method. For workers in known risk areas such as industrial labs, oil and petrochemical workers, dental team members, recyling plants, antique restoration workshops and so on, regular monitoring of mercury exposure should be provided by employers to safeguard employees' health. What is it ? 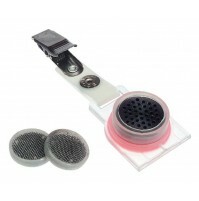 Passive dosimetry is a personal monitoring technique which uses air flow to capture mercury vapour in the filter capsule over a period of time. The badge is then returned and the capsule is analysed for mercury. When adjusted for the exposure time, the average air concentration of mercury can then be calculated, showing if the worker has been at risk of mercur..
Urine Analysis Service Mercury effects from dental fillings (amalgams) What is the problem with amalgam ? Dental amalgam is made by mixing metal powders (silver, tin, copper and zinc) with mercury, which forms a paste as the metals dissolve in it, forming the amalgam. The paste is then transferred to the tooth cavity, compressed to squeeze..
Urine analysis service Who needs this service ? The Dental Team The BDA advises that all members of the dental team who are exposed to mercury in the form of placing or removing dental amalgam fillings should be monitored annually for mercury exposure. Urine analysis is far more sensitive than hair or blood analysis because it measures total body burden from all routes (inhalation, ..